While lowering home heating bills is always a hot topic, especially so, considering how heating costs have soared in the last few years. What’s worse, it doesn’t matter if you use electricity, oil, or natural gas as your main heating source, you can expect a significant increase in energy costs due to rising rates. Don’t despair though, here is still hope. Take a look at our top “energy savers” listed below and learn how to better keep old man winter at bay. 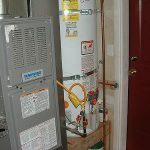 If these steps don’t resolve your issues, you may need a professional Heating Contractor. Turn your thermostat 5 degrees lower for some real savings. Don’t heat rooms that you don’t regularly use such as a craft or guest room. If you have a fireplace but don’t use it for heat get a piece of foam insulation and seal up the chimney to reduce your heat loss. Replace your old thermostat with a programmable one that allows you to automatically decrease furnace use during the times that people are not present and/or awake. Check your furnace filter monthly and clean (or replace) as necessary. Have your furnace ductwork cleaned out by a professional on a regular basis. We recommend once a year for most homes. Open your window blinds on the sunny side of the home to maximize the benefit of solar heat gain. Seal up the air leaks in your home, primarily your windows and doors. If you have older windows, consider using plastic “shrink and seal” indoor window kits for increased insulation. Don’t run bathroom or kitchen ventilation fans any longer than necessary. 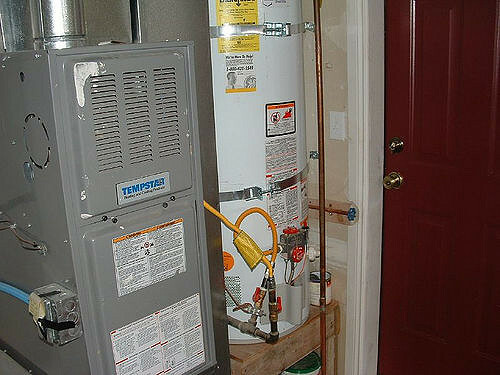 Have your furnace inspected, and repaired as necessary, so it runs efficiently. Increase the “R-Value” of your home’s insulation in the walls and attic to reduce heat loss. A common recommendation would be to have R-30 or greater in the attic and R-12 to R-20 in the walls of the house. ** When the time comes for you replace your furnace be sure to choose a high efficiency model (90% or higher) which will reduce the energy used. Heating bill savings can be significant over the period of just a few years.